I'm a few posts overdue with this checklist. On the bright side this is an all-new design. 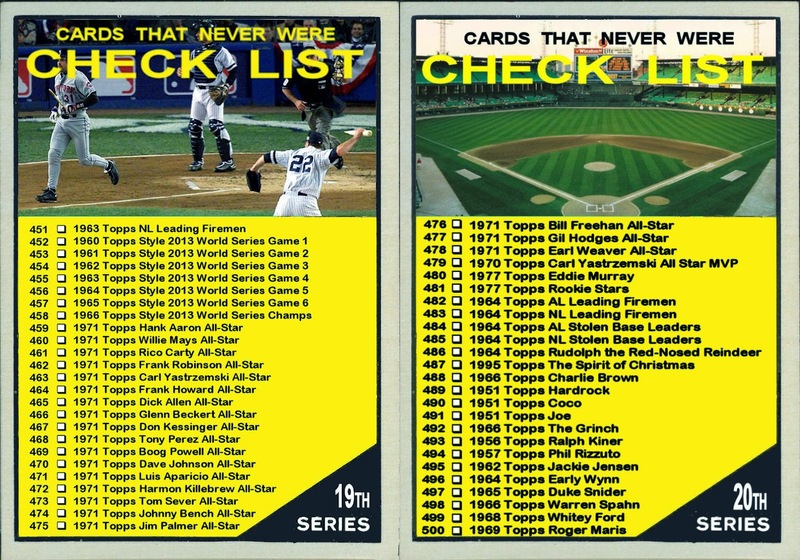 And by "all-new" I mean it is my design but as usual, I borrowed heavily from Topps designs. This one in particular could have fit into the 1976 set seamlessly. 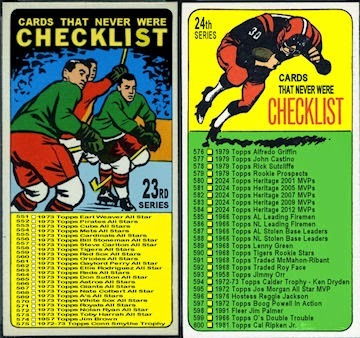 I wanted a retro look and I wanted a photo similar to the 1967-1969 checklists. This is what I ended up with. Groovy, huh? 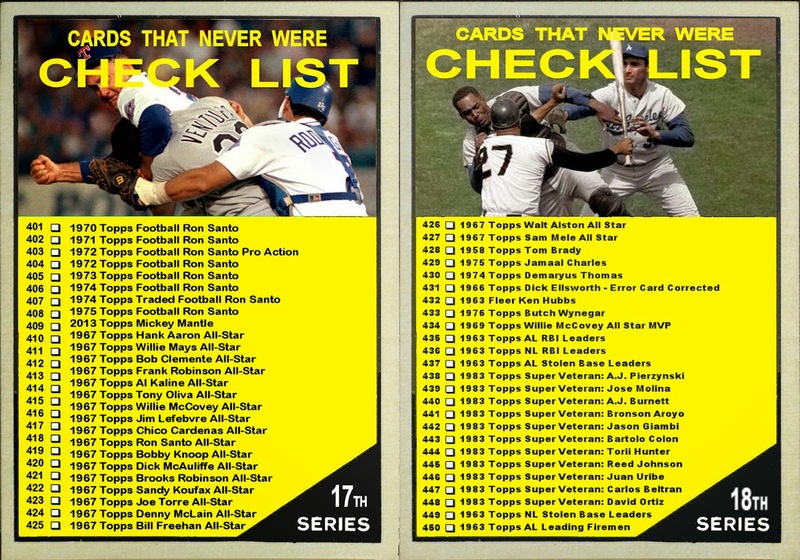 On the list itself, I kinda struggled with whether or not to include "Cards That Never Were" from my other blog, Rating the Rookies. In the end, they were included. Afters all, I made them and they are Cards That Never Were. 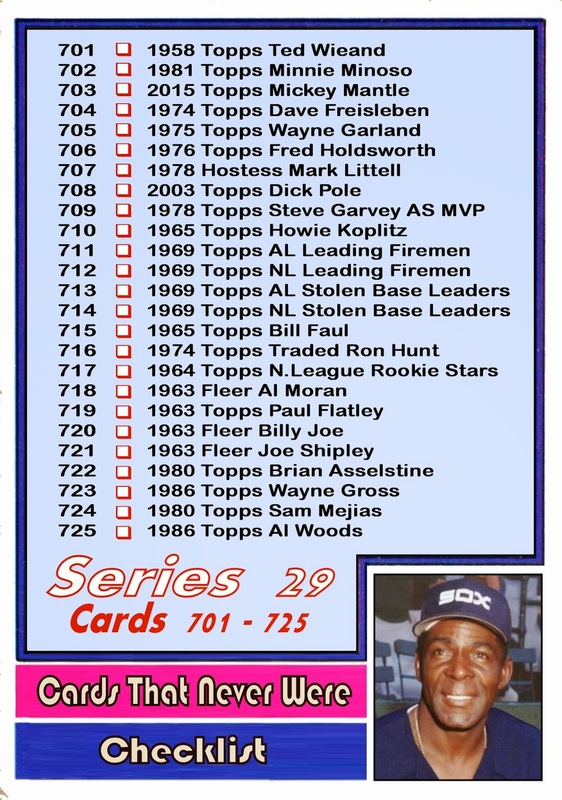 For the photo inset, I used a '70s era Minnie Minoso photo. 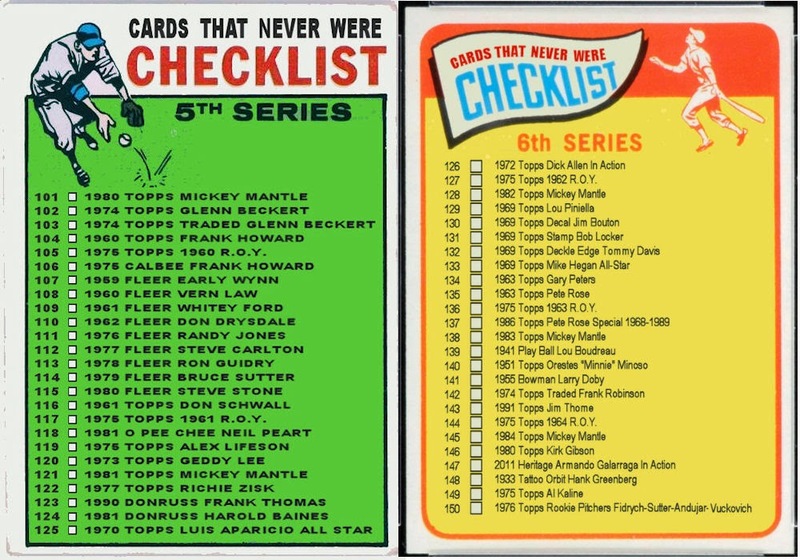 His tribute card was included in this series. 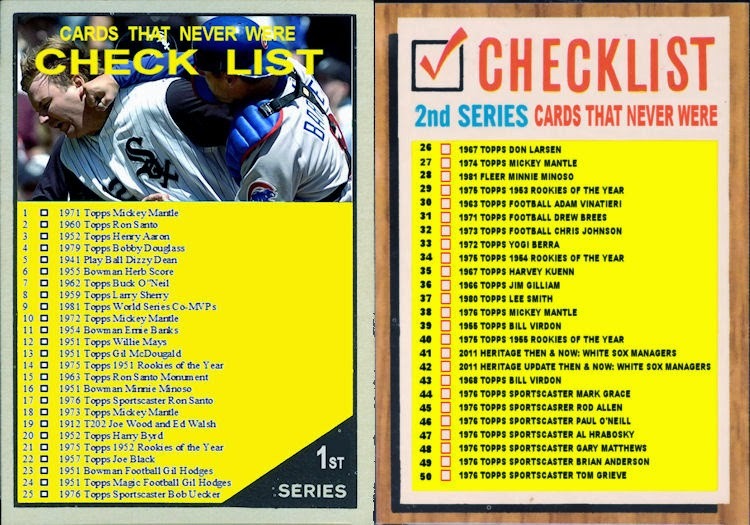 And as usual you can click here to see all the cards in this series in one place with out all those boring words to slow you down. 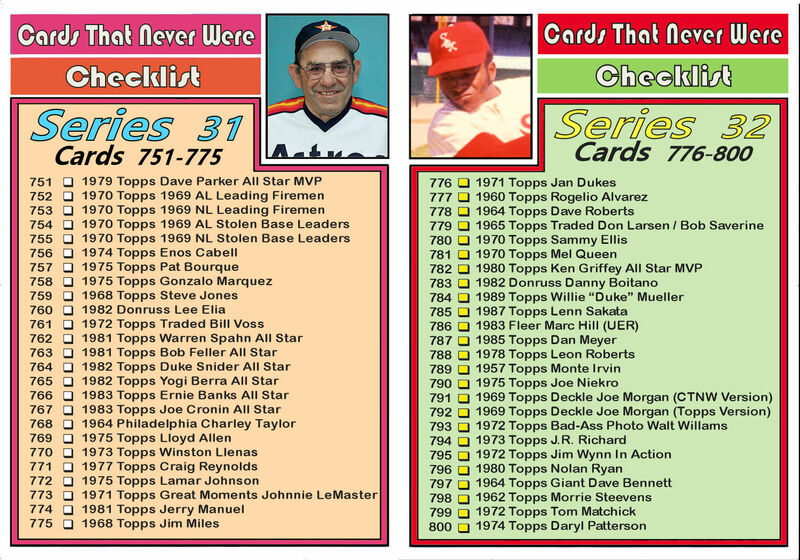 Cards from "Rating The Rookies"
Bill Davis appeared on 5 different "Rookie Stars" cards from 1965-1969. Now he finally has his own cards (well, sort of). 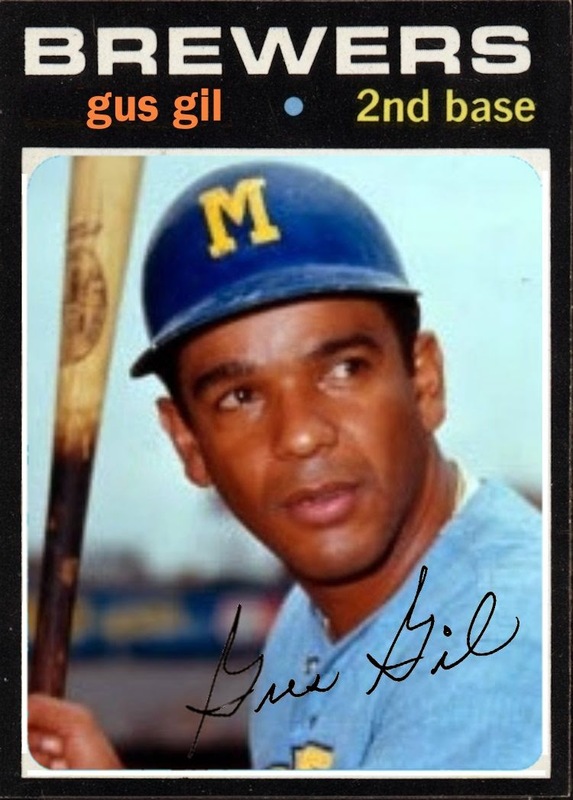 Gus Gil was a member of the one-year-wonders, the Seattle Pilots, then became a member of the inaugural Milwaukee Brewers team. 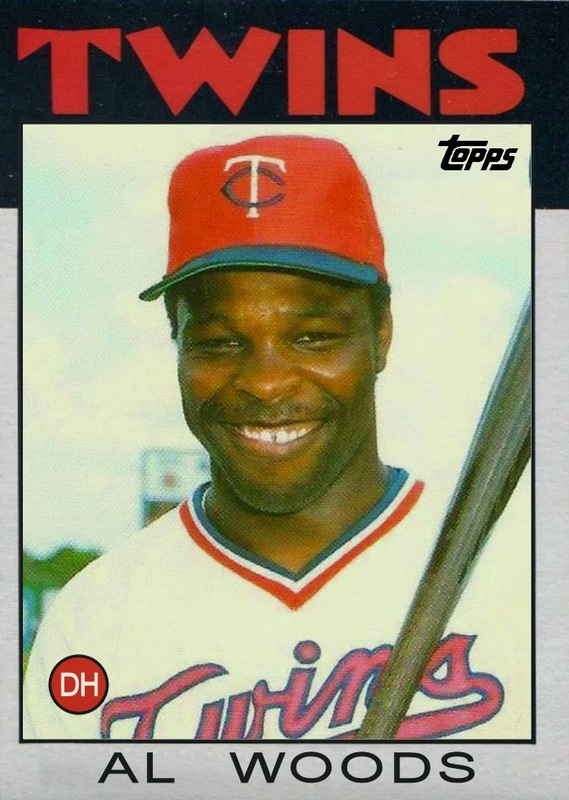 Prior to that he appeared on a Rookie Stars card with Bill Davis. To see more got to my other blog, Rating The Rookies. 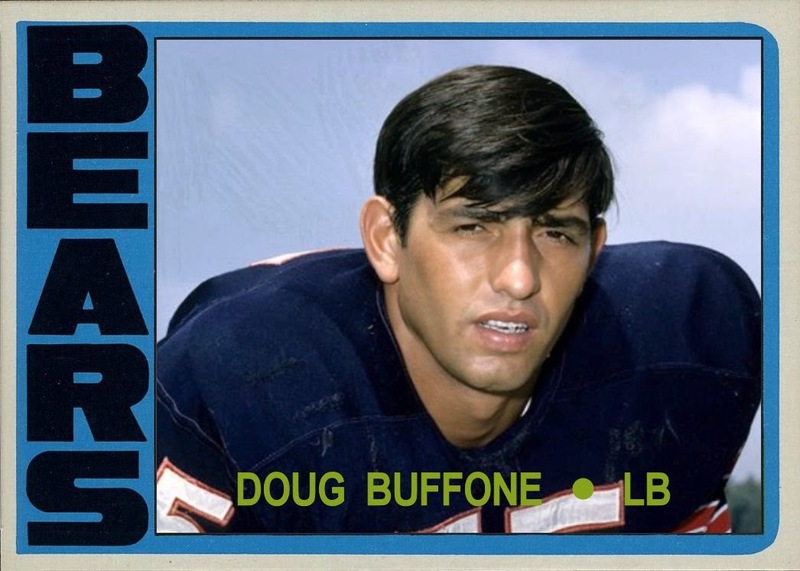 With the passing of Doug Buffone this past week, I've taken on the task of filling in the many holes in his football card collection. These are from his final 3 years on the Bears. 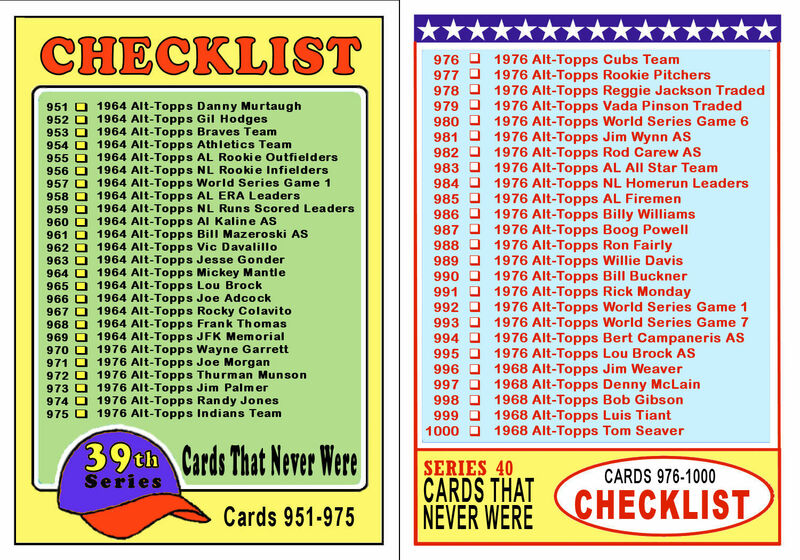 I have created cards from 1967, 1968, 1968, 1972 and 1973 for my previous 3 posts. 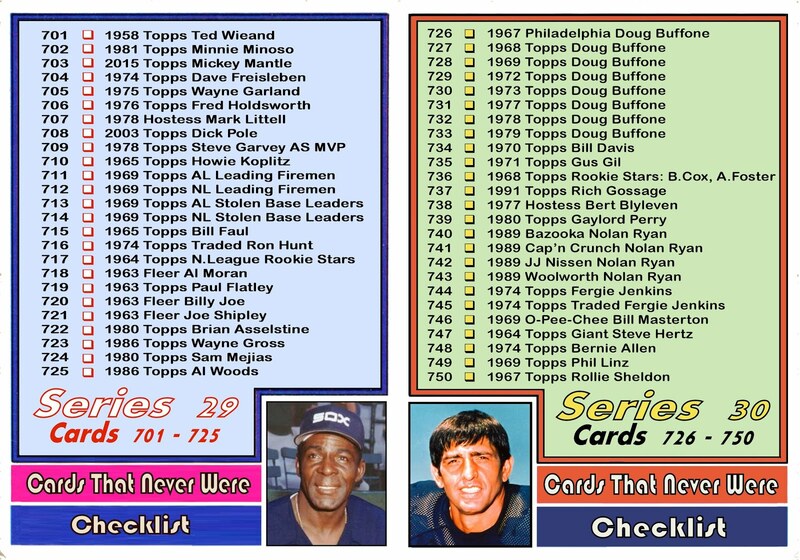 I can almost understand the lack of a 1977 card for Buffone. He played only 2 games in 1976 when he was sidelined with a ruptured achilles tendon. Now he would be 33 years old, heading into his 12th season, and coming off of a serious injury. But Buffone did play in 13 of the 14 games as the Bears made it to the post-season for the first time in his career. 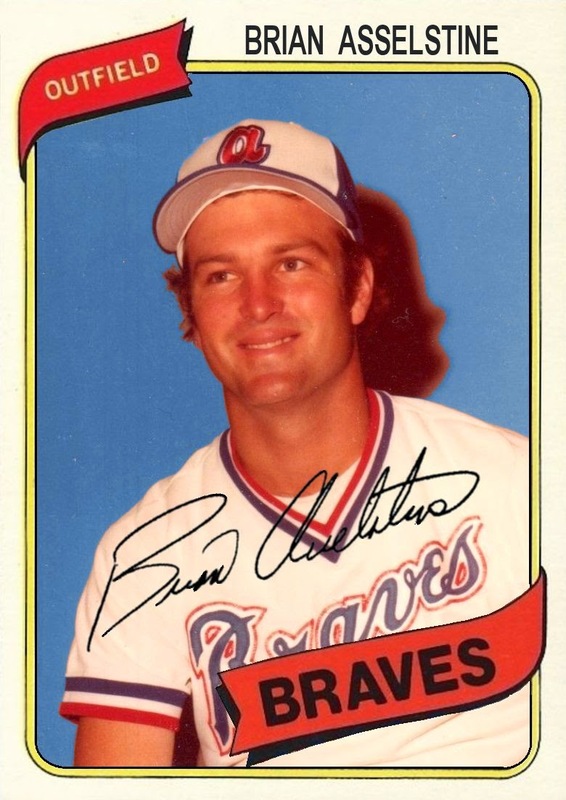 In 1978, like '77 Buffone missed only a single game but started the other 15 games. 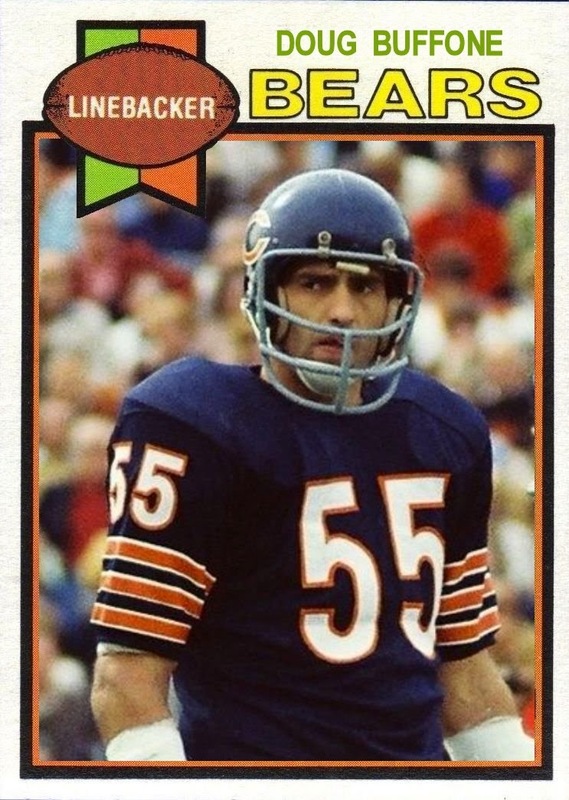 Jack Pardee who led the Bears to the playoffs in 1977 was now with the Redskins. 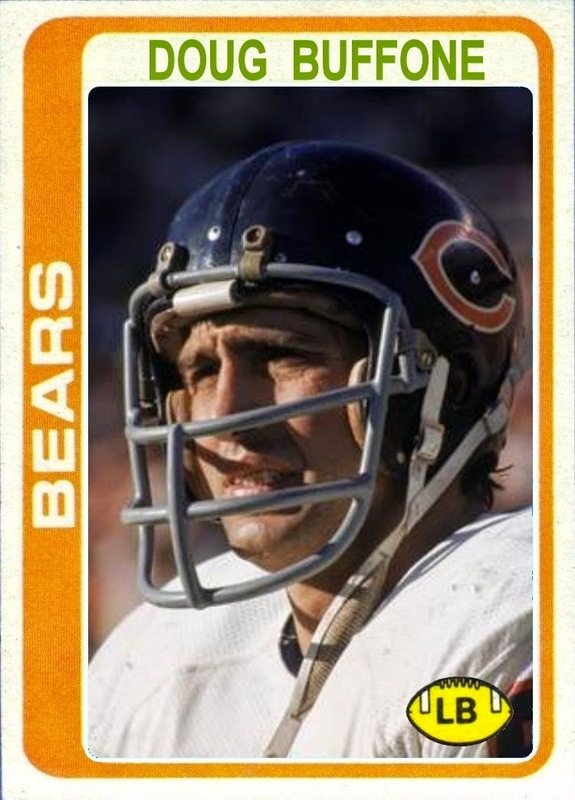 The Bears under new head coach, Neil Armstrong, went 7-9 but Buffone, solid as ever, had 3 interceptions and a fumble recovery. In his final season, the 35 year old veteran played in all 16 games but started only 2. 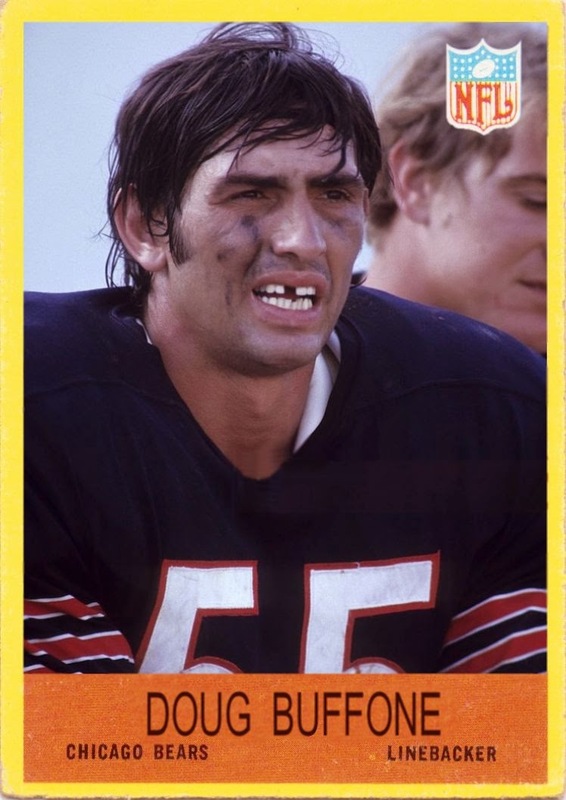 At the end of his career he was the longest tenured player in Bears history with 14 season. And he was the last active Bear to have played under the legendary George Halas. 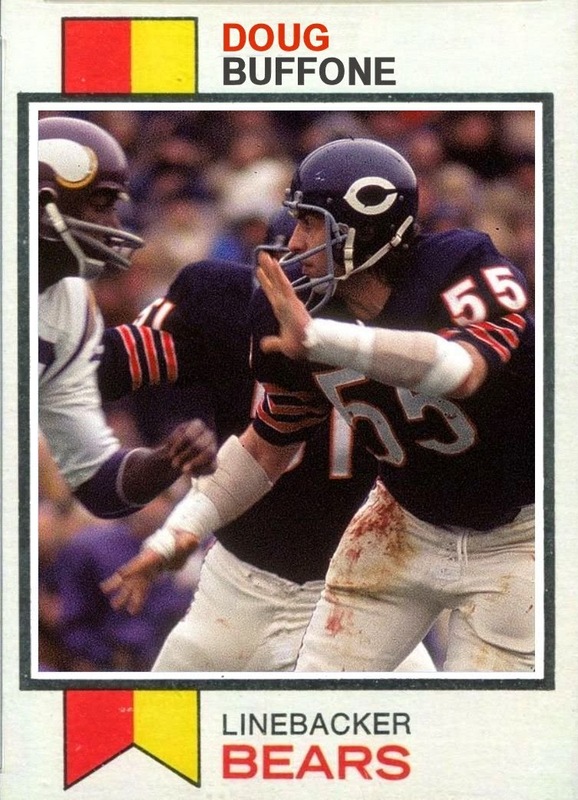 His final game in a Bears uniform was the Wild Card game after the 1979 season. The Bears lost to the Eagles 27-17. 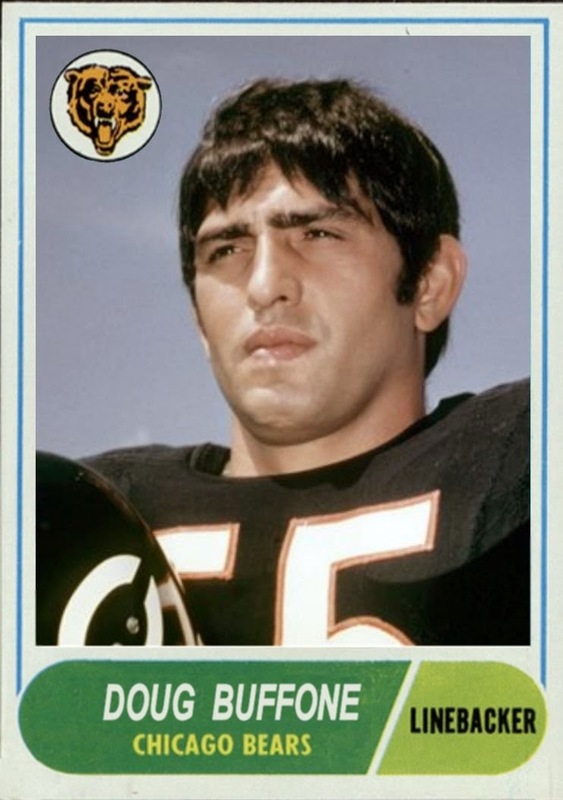 For those of you who have not heard, Doug Buffone passed away earlier this week. When I went to look at his cards, I could not believe the holes in his collection. 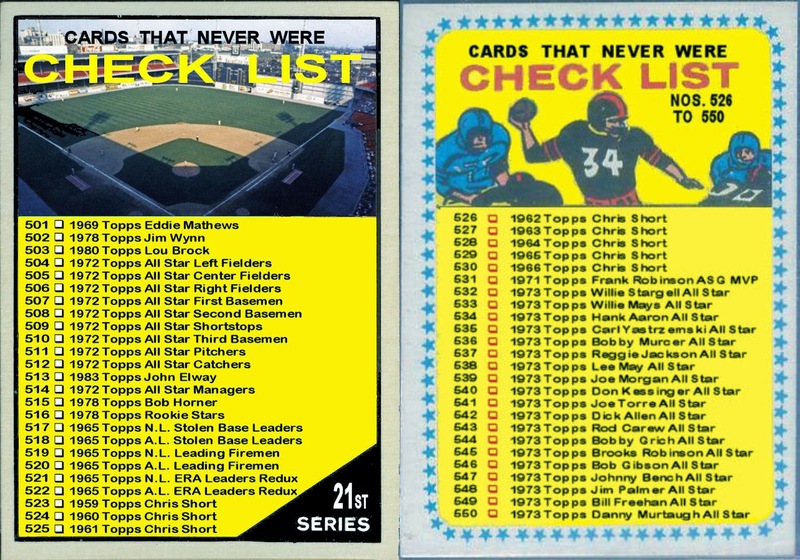 Not only did Topps (or Philadelphia) wait until his 4th season to grant him a card, but Topps skipped right over his 1972 and 1973 years. This was a starting linebacker in his prime. He was also in the midst of a 142 game streak in the starting line up. And he was the defensive team captain. Granted, the Bears were terrible during this era, but their defense was always solid. It was their offense (or lack thereof) that gave the fans fits. 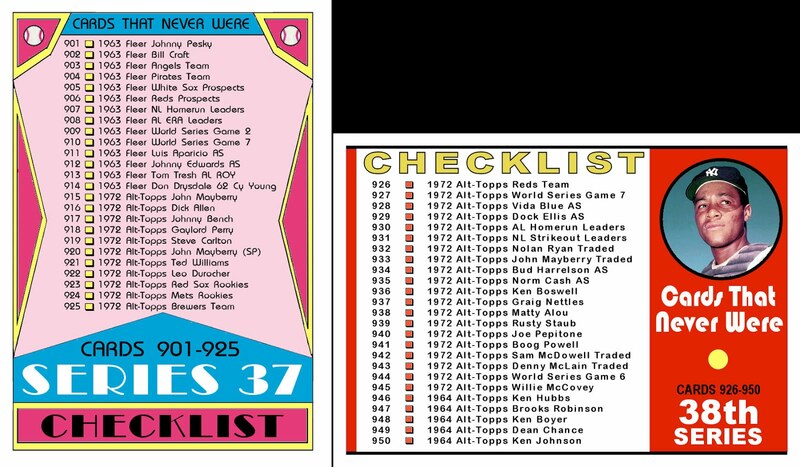 So here are the 1972 and 1973 Topps cards conspicuously missing from the prime of Buffone's career. 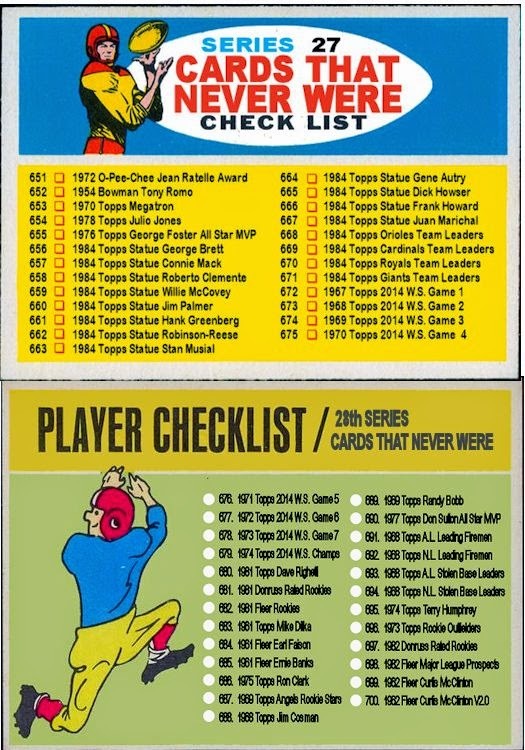 In my previous 2 post you can see his Cards That Never Were from 1967-1969. 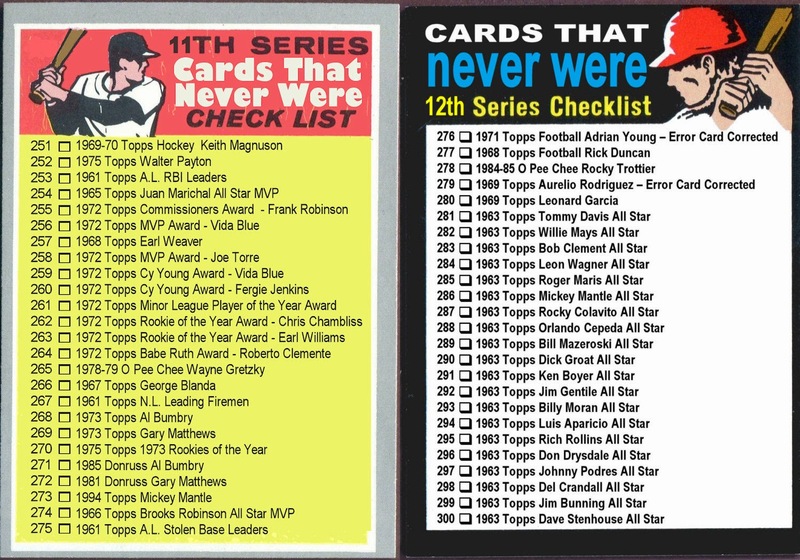 My next post will have the Cards That Never Were from his final 3 years. 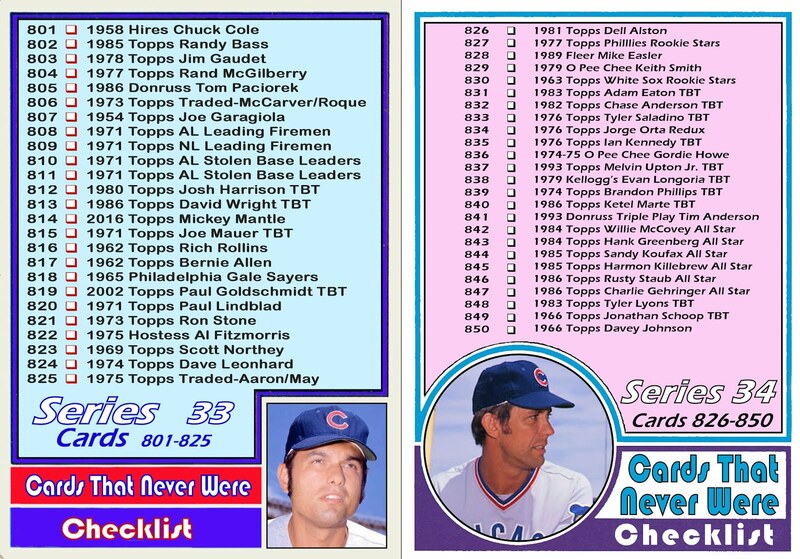 When Doug Buffone passed away on Monday, I went looking for a card format to use to pay tribute to him in my own way. What I found was shocking. 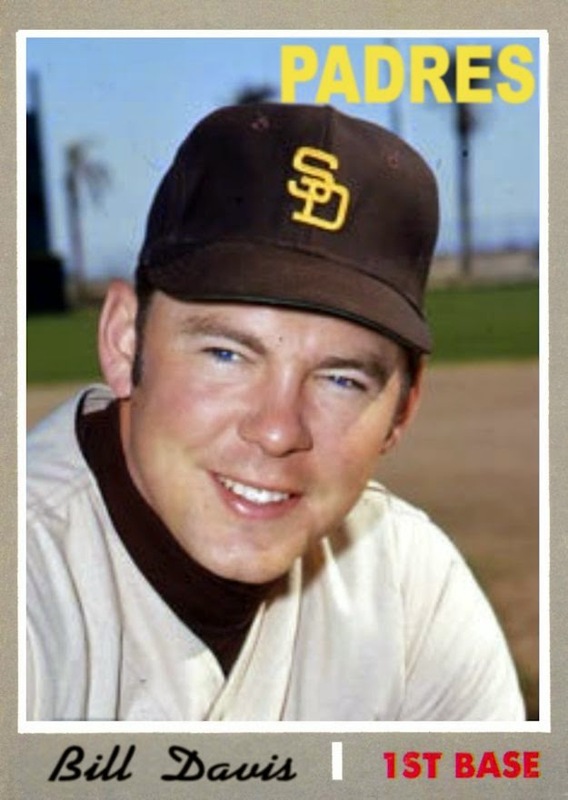 Although he debuted in 1966 his first card was a 1970 Topps card. Not only that, but he was skipped over in 1972 and 1973 plus his final card was in 1976 despite playing through 1979. I decided that this will not stand. He deserved better. These sets were small by today's standards. 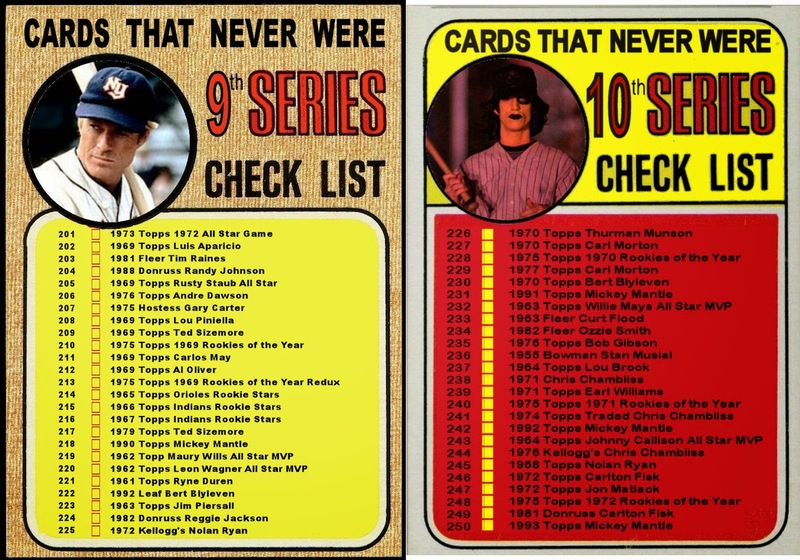 The 1968 and 1969 sets numbered in the low 200s and the Bears only had 9 cards in the 1968 set and 11 in 1969. Looking back at his career and what he meant to this city, I think we can add these two cards to the sets. In my next few posts, I will be filling in the missing pieces of the 1970's sets. The Chicago sports world lost another great Monday. Although he may not be recognized as a national figure, he was a legendary player in Chicago. Later he became a color commentator and sportscaster on many different television and radio shows over the years. 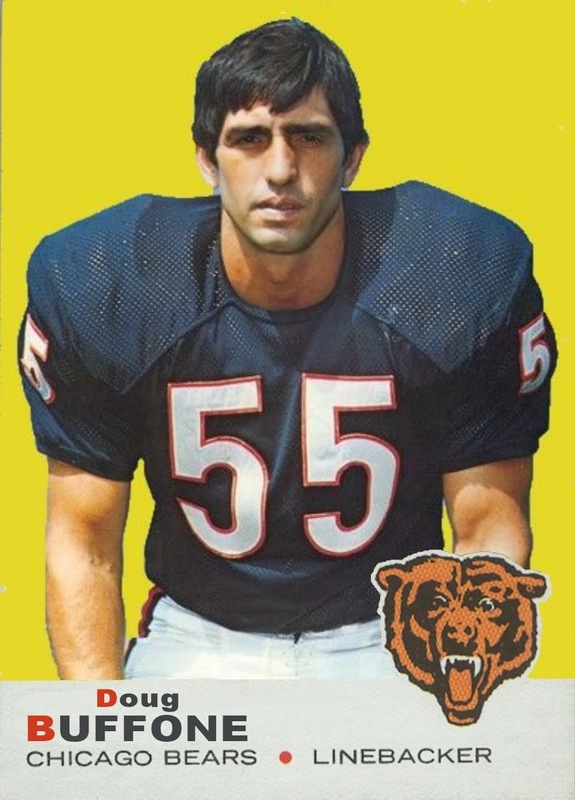 Although he was never selected to the Pro Bowl, he held and continues to hold many Chicago Bear records. Including most sacks in a season with 18 in 1968 and most interceptions by a linebacker. 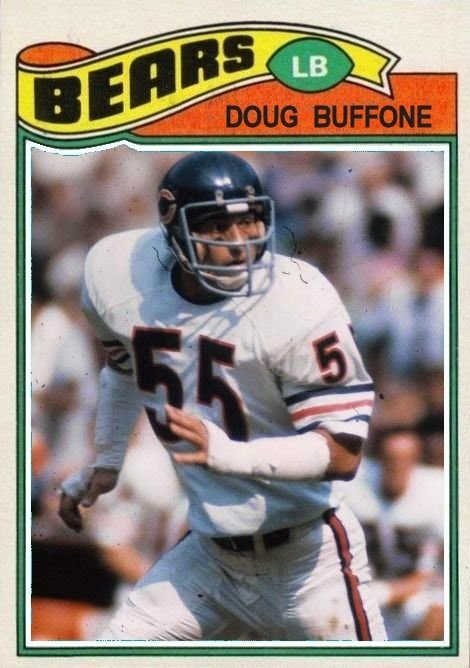 Buffone played only for the Bears. His NFL career began in 1966 and ran through 1979. As I was trying to choose an appropriate card to make for him, I realized how few cards he had. 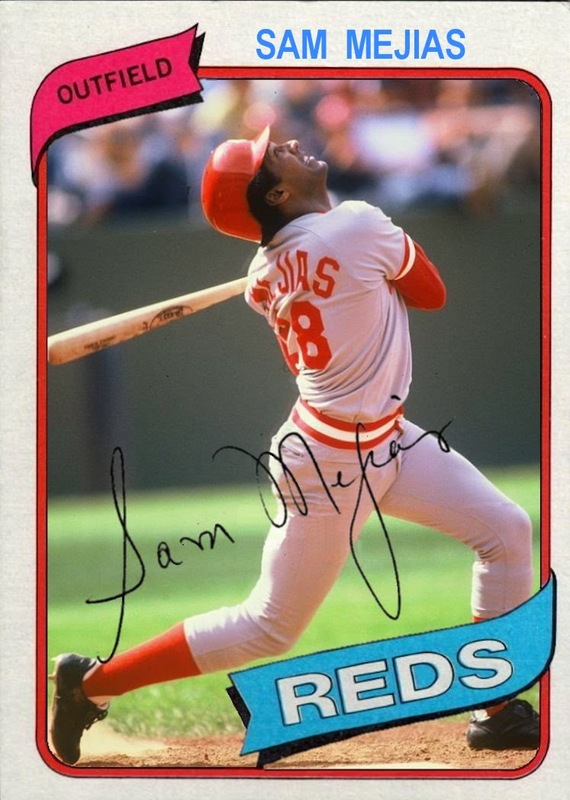 His "rookie" Topps card was in 1970 and his final card was in 1976, and even then he was skipped over in 1972 and 1973. 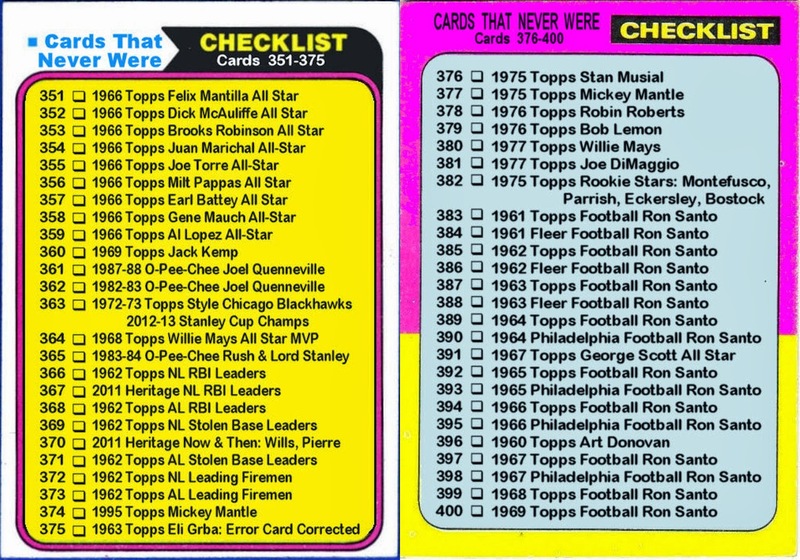 In all, the 14-year-pro had only 5 major issue football cards. I may have to right this wrong in the coming days. More from "Rating The Rookies"
Here are some "Cards That Never Were" from another four-player rookie card on Rating the Rookies. 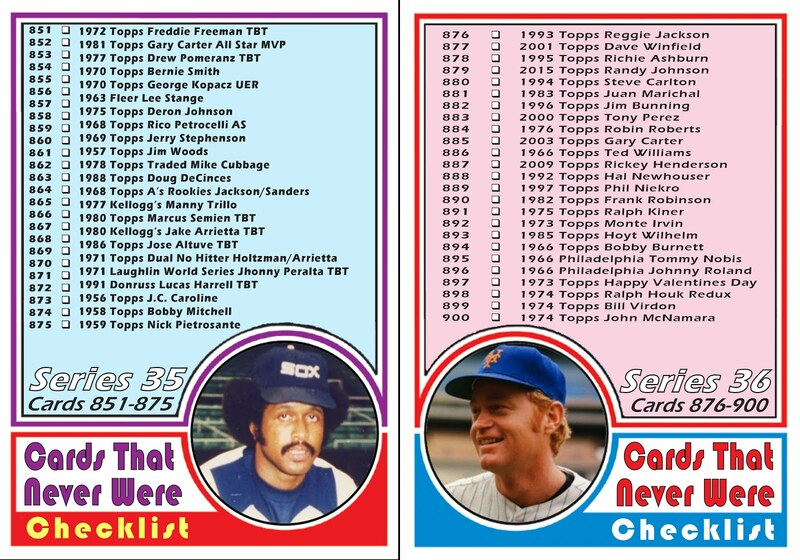 To see more about these players plus the Topps rookie card they shared click here. Once again, life has gotten in the way of my regular blogging, but I will have more posts soon. Both here and on my other blog, Rating the Rookies. 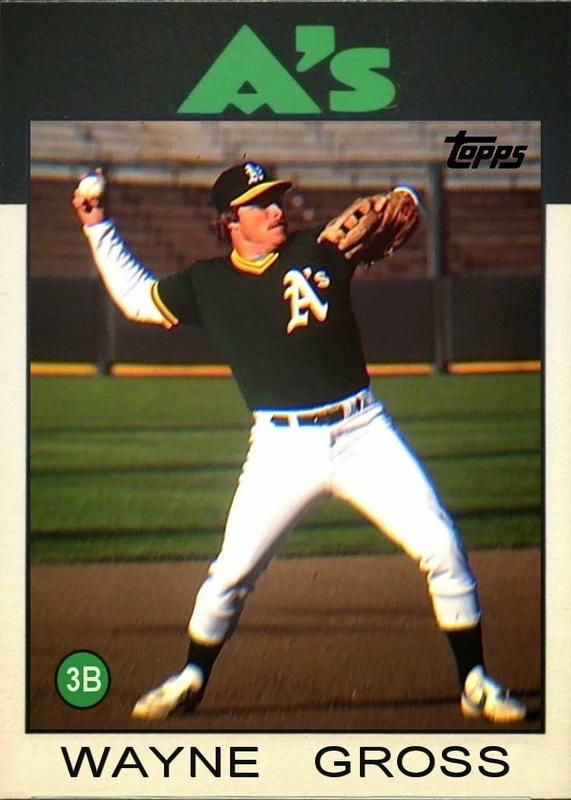 Another "Card That Never Was" from Rating The Rookies. 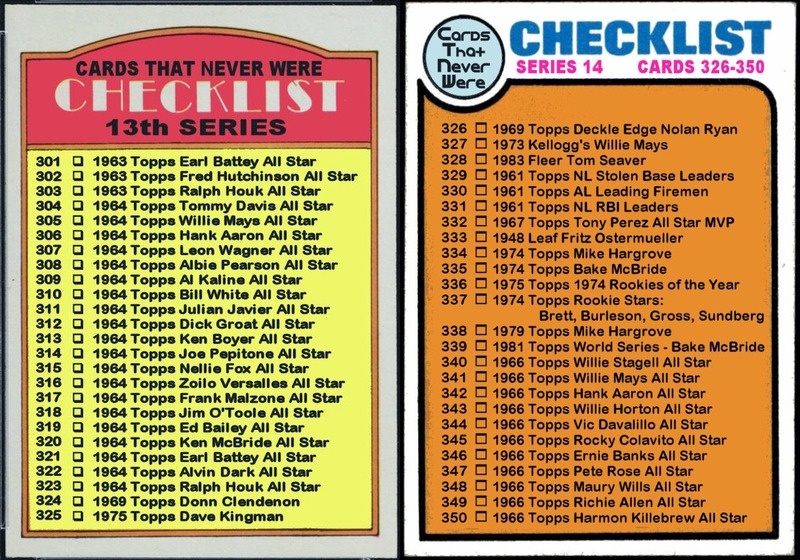 In 1959 Topps began issuing "Rookie Stars" cards. A series which (in 20/20 hindsight) was full of players that didn't live up to the hype. Shipley was one of those. 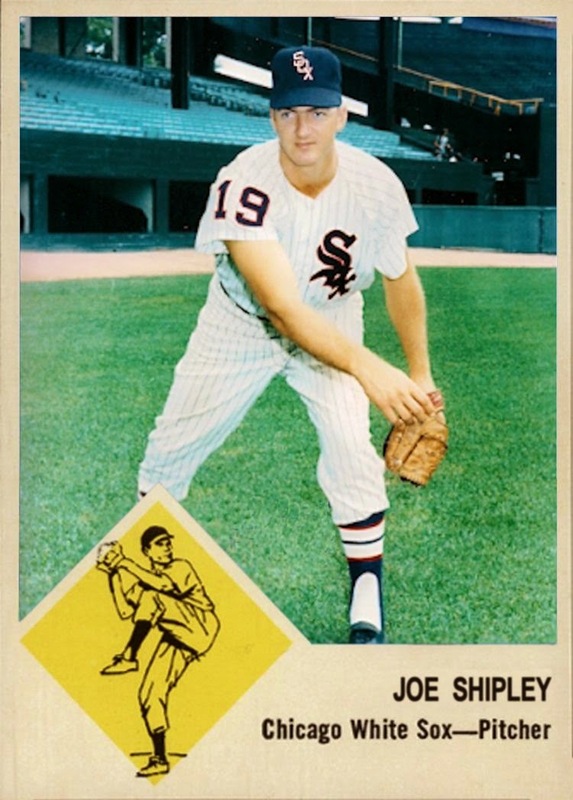 His only Major League decision (loss) came in 1963 in a White Sox uniform. 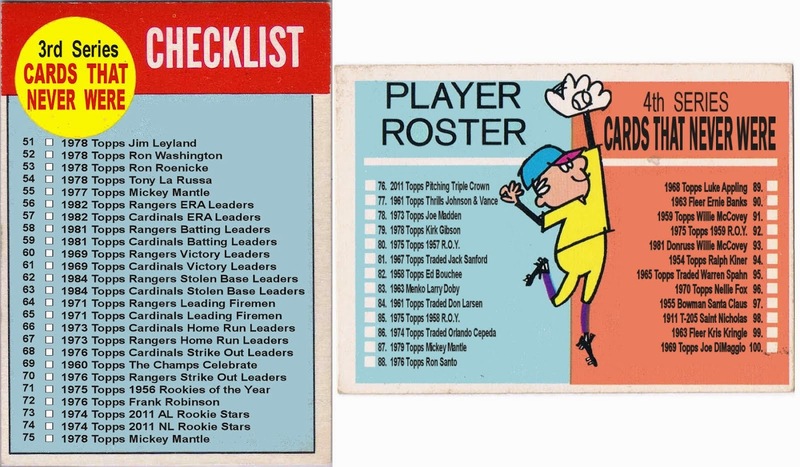 Even the back of his 1959 card wasn't exactly an enthusiastic endorsement of his "star" potential. It stated "If Joe can control his wildness and cut the corners, he'll be a fine major leaguer." To see my grade of his rookie card, check it out on Rating The Rookies. Like the 1963 NFL Rookie of the Year, Paul Flatley, Billy Joe was drafted both by the NFL and AFL, In the 9th round by the Redskins and in the 11th round by the Broncos. In his AFL Rookie of the Year season, Billy Joe rushed for 646 yards and 4 touchdowns. He had another TD receiving along with 90 yards for a total of 736 all-purpose yards. In 1965 he was traded to the Bills for Cookie Gilchrist. 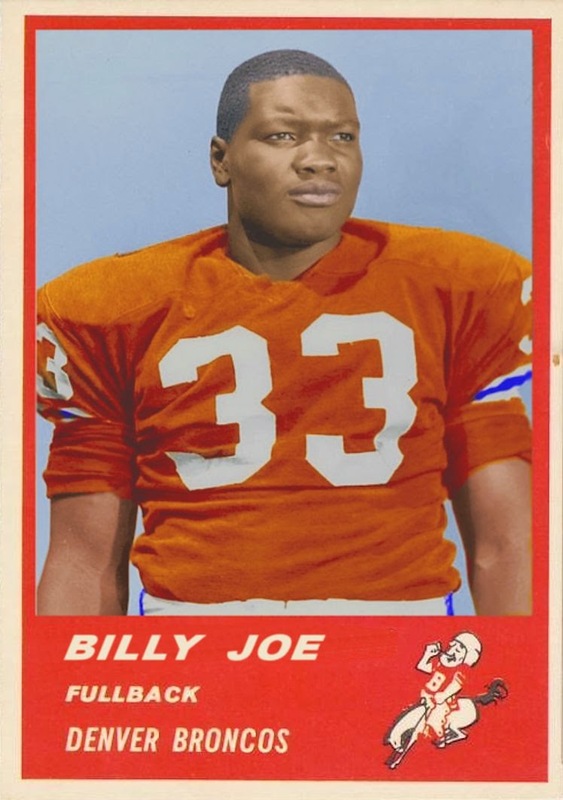 Billy Joe was selected to play in the AFL All Star Game and helped the Bills win their second consecutive AFL Championship. He played 7 years all in the AFL. In addition to the Broncos and Bills, he played for the Miami Dolphins and the New York Jets. After his playing days he became a successful college football coach. In his 33 years coaching he won 243 games, second only to Grambling's Eddie Robinson among historically black colleges. 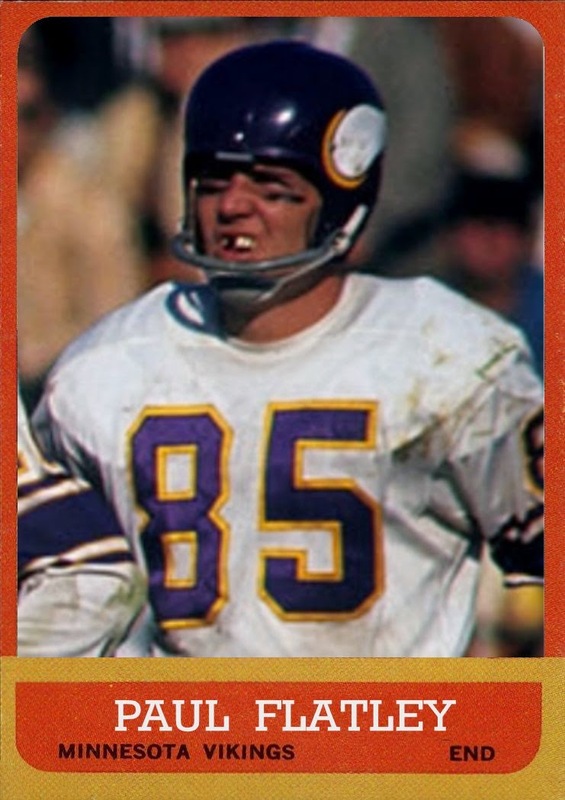 Paul Flatley was drafted in 1963 by both the Denver Broncos in the AFL and the Minnesota Vikings of the NFL. The Northwestern receiver elected to remain in purple. He helped the Viking improve to a 5-8-1 record, their best finish in their 3 year history. He was voted Rookie of the Year in 1963 on the strength of 4 TDs and 867 receiving yards. Flatley played 8 years in the NFL the first 5 in Minnesota and his final 3 for the Atlanta Falcons. The All-Pro receiver was fairly well represented on cardboard. 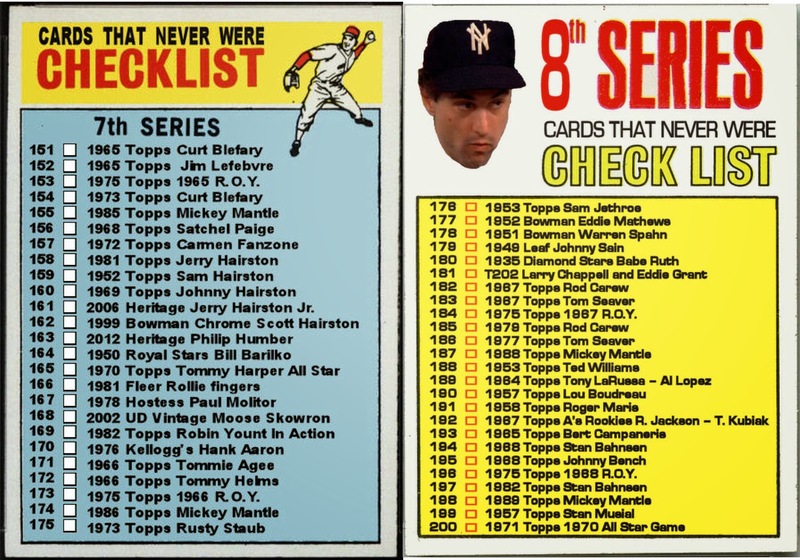 He had Philadelphia cards from 1967-67 and Topps cards from 1968-70. But he didn't have a card for his rookie season. So here is his 1963 Topps rookie Card That Never Was. In the photo he seems to be contemplating the wisdom of choosing a single-bar facemask.